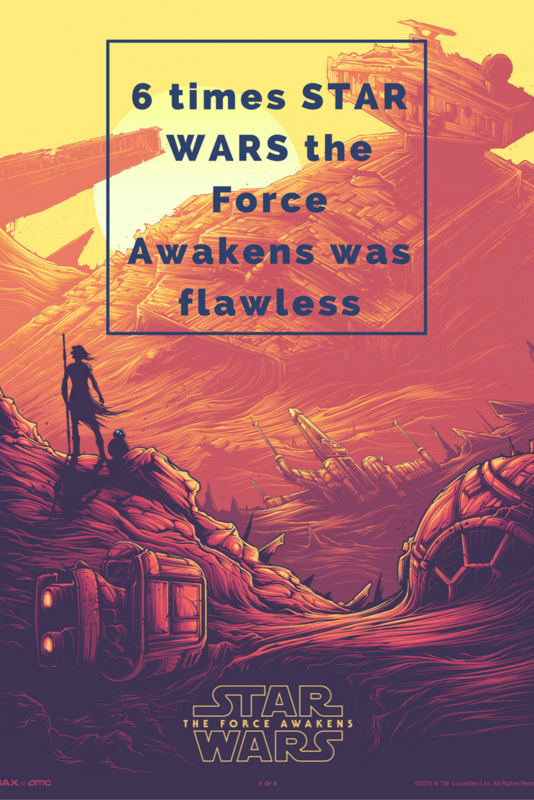 Considering it beyond the staggering ticket sales, Star Wars: The Force Awakens is a fantastic movie. Only the crankiest of fans could find fault with the seventh Star Wars movie, directed by J.J. Abrams. My husband, a serious Star Wars fan, who pokes holes in everything, could only question how C-3PO knew BB-8’s name just after meeting the orange and white droid. If that’s the biggest flaw he could find, I say the movie is a roaring success. In fact, I watched it twice in two days, then saw it again yesterday. It was everything I wanted and more. I’m old enough that I was a wide-eyed child when it premiered in theaters in 1977, which means when Return of the Jedi came out, I was still young enough to enjoy the Ewoks, rather than roll my eyes at them. 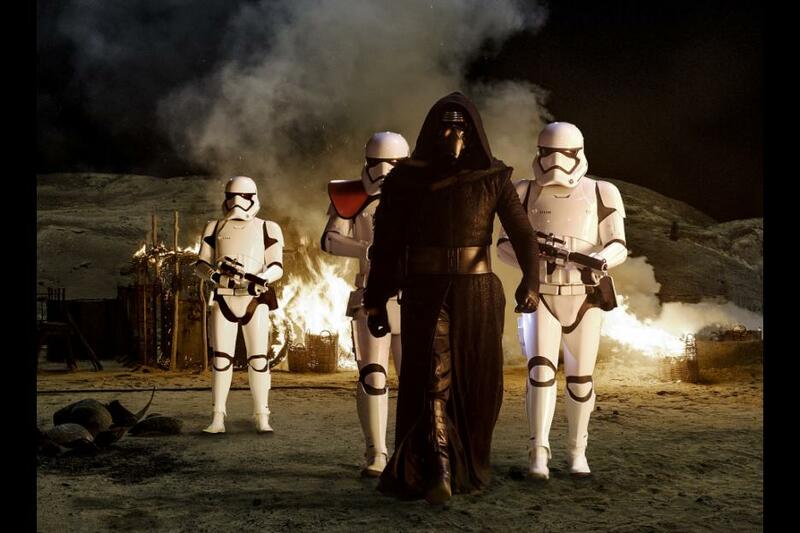 The Force Awakens recaptured the magic of Star Wars (I refuse to call it A New Hope). It introduced new characters and new plot twists, while offering nods to Star Wars traditions. 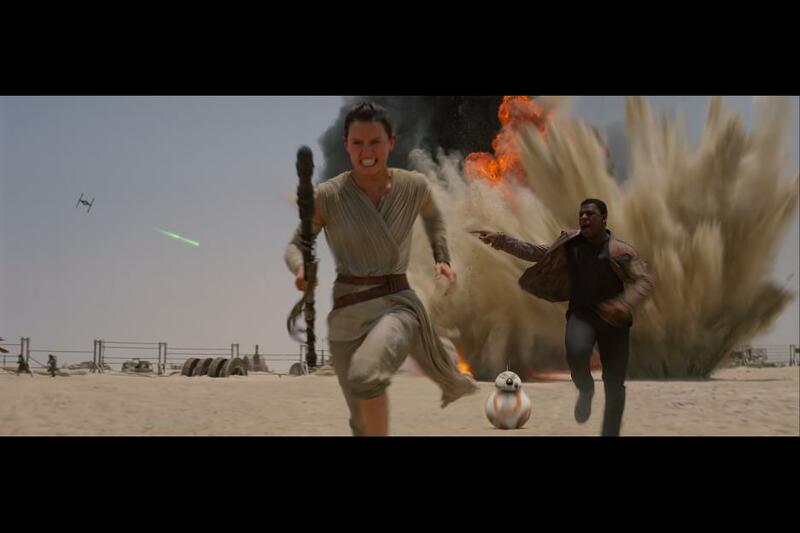 Here are the best scenes from Star Wars: The Force Awakens, that gave me all the feels. One of the first things that popped in my head when Rey lit up a light saber for the first time, was how brilliant J.J. Abrams and crew are for making a girl the central, powerful character this time around. If you’ve seen that funny YouTube video that demonstrates the dearth of female dialog, let alone characters, in the original movie, you’ll know that Rey’s enormous role goes a long way to balance the number of men and women in the Star Wars universe. Rey is the whole package, a character we love to root for who has a mystery at her center. 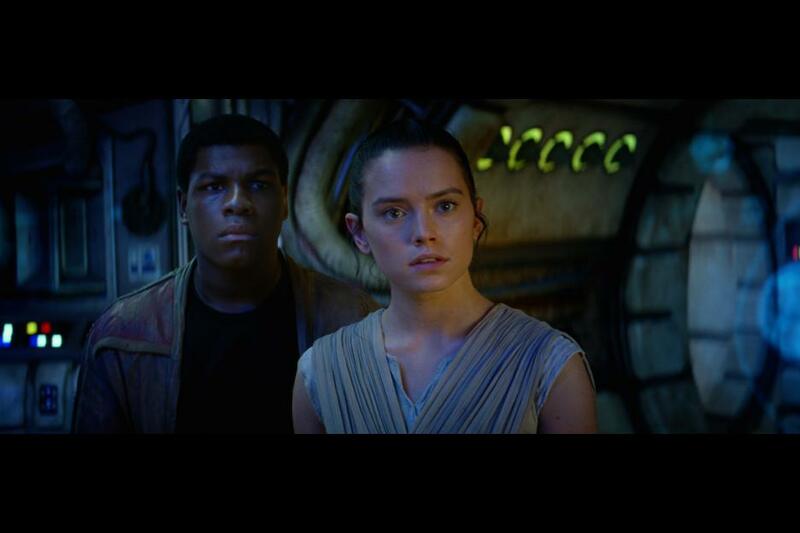 Daisy Ridley’s nuanced, fiery performance makes Rey leap off the screen. Ridley is pretty, but plain, so much so that before I saw the movie, I couldn’t imagine her role was very important. Her wholesome good looks, however, are the perfect canvas for her emotions. If a woman with exotic features or an innate sexiness had been cast, Rey would not seem as innocent, as naive, or as GOOD at her core as she does. Even young Carrie Fisher, as Princess Leia, with her petite stature and big-eyed beauty, had a worldly quality. Rey is nothing but light. The character I was most looking forward to seeing in Star Wars: The Force Awakens was Kylo Ren, and I wasn’t disappointed. Kylo Ren is just as scary as Darth Vader ever was, while introducing a tortured element in his villain that we didn’t see in Vader, until the very end of Star Wars: The Empire Strikes Back. His emotional scene on the bridge, played with passion by Adam Driver, is fascinating to watch. Even the third time I saw it, I could see both of the possible conclusions playing out in every single line. Ren’s decision to turn to the light or to the dark teetered on a knife’s edge, all the way until his final, horrible choice. Kylo Ren, for all his power and evil nature, is very clearly coming apart, right from the start of the film. Darth Vader was completely certain of his purpose at the beginning of the Star Wars saga, but Kylo Ren seems to be torn in different directions: finding the map; finding Rey; putting an end to his torment over his father (one way or another); maintaining the Supreme Leader’s approval; and wresting control of the New Order away from General Hux. Because of all these facets, and Adam Driver’s expert performance, it is engrossing to watch Kylo Ren’s story unfold. After the first time I saw Star Wars: The Force Awakens, a couple of my family members said they hadn’t liked Finn until his hilarious scene with Captain Phasma. (“I’m in charge! I’m in charge!”) I was surprised, because I liked him right away. I found his boyish energy infectious, which made it very easy to cheer for him. Although Finn’s main goal was to flee the First Order, he didn’t shy away from helping Rey and BB-8, then Han Solo and Chewie. And he did it all-out, leaving nothing on the floor, so to speak. Finn, played with abandon by John Boyega, rarely had down time or a restful scene. By the time he did, in Maz Kanata’s bar, he still didn’t relax; he laid his heart bare to Rey, telling her the truth about his identity and begging her to come with him. It’s hard to dislike someone who has such a big heart, and who has almost all of the punchlines. Back when John Boyega’s picture was released, and the world got to see the star Stormtrooper for the first time, the Internet, a wretched hive of scum and villainy, took to Twitter and social media to register their ridiculous outrage that Finn was black. I hope that Boyega’s fun, energetic, passionate performance put paid to any hater’s doubt as to whether he would “work” as a Stormtrooper. John Boyega is fantastic. 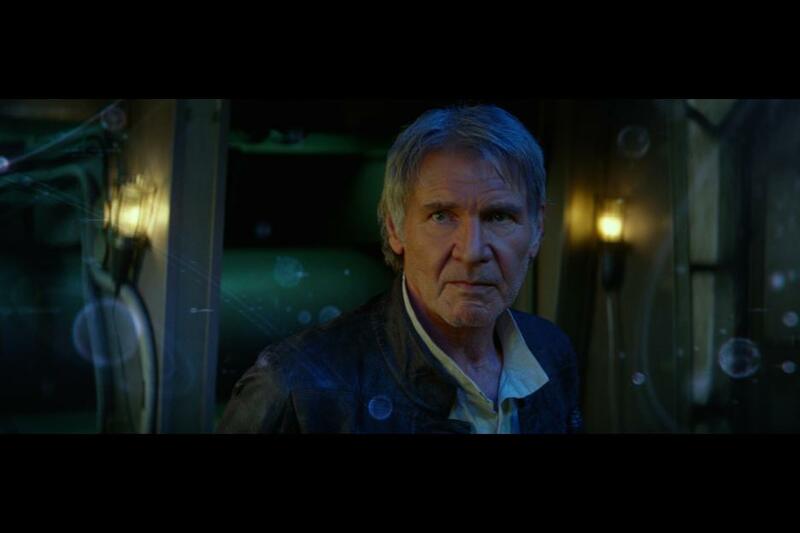 I confess, I teared up during the Star Wars: The Force Awakens trailer when Han Solo says, “Chewie, we’re home.” In fact, I’ve seen the film three times, and I still can’t get through that scene completely dry-eyed. I defy any fan of the original three movies to say that seeing Han and Chewie, together again onscreen, isn’t a dream come true. Happily, screenwriter Lawrence Kasdan and directory J.J. Abrams didn’t mess with the DNA of their characters very much. Han was still sarcastic and cunning; Chewbacca was still cantankerous and loyal. The easy camaraderie of Harrison Ford, as Han Solo, and Peter Mayhew, as Chewbacca, made it easy to fill in the years between films with smuggling runs, and misunderstandings that end with a shoot-out. Thank goodness we saw so much of Han Solo onscreen before we lost him. But if he had to die, trying to redeem his son had to be the most honorable death he could have hoped for. 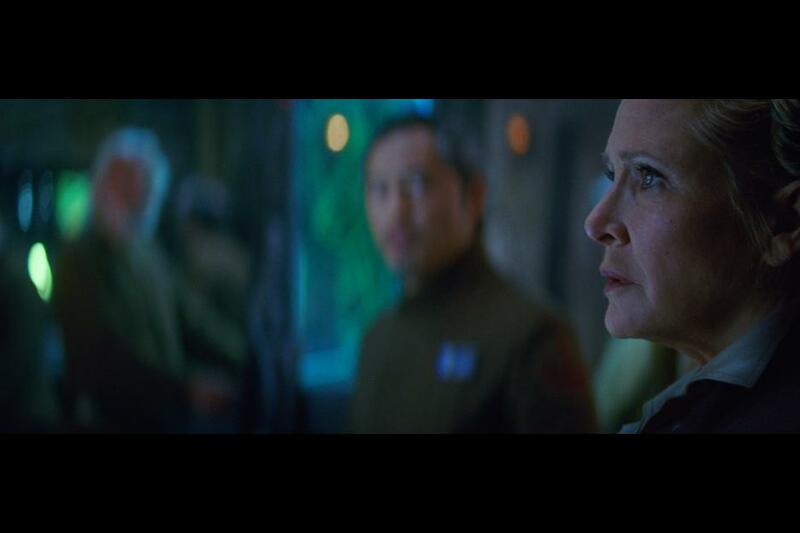 General Leia Organa is another character from the original movies I was thrilled to see. You can imagine, as a young girl, how much I admired Princess Leia, a brave, selfless leader. I was pleased to see Leia wasn’t relegated to some adobe hut on Tatooine, keeping a pitcher of blue milk chilled for Han’s return. Of course, she’s a General with the Resistance. Of course, she’s as tough as ever, dealing with the loss of her son, then her lover. And as her dialog showed, she has no time for melodrama, cutting to the quick of problems and never looking back. Carrie Fisher played her with simplicity, so fitting for royalty. I didn’t think any droid would ever be able to follow in the tracks of R2-D2, but BB-8 is not only endearing, the droid’s also unique. It’s kind of like my family’s guinea pigs; who knew guinea pigs could have their own personalities? Let me assure you, they do, and droids do too. 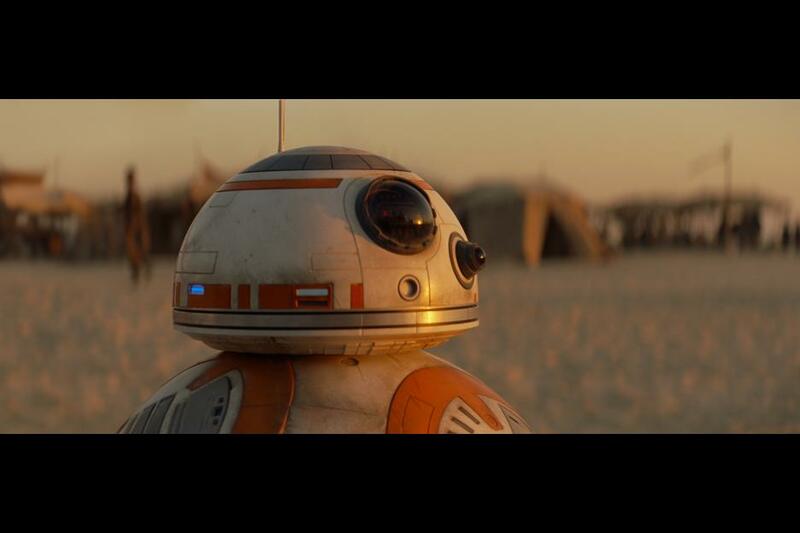 BB-8 is as spunky as R2-D2, but somehow (how do they do it?) manages to display a childlike innocence that the wise-beyond-his-serial-number R2-D2 doesn’t. BB-8 has become so synonymous with Star Wars: The Force Awakens, in fact, that if you check into a movie theater and say you’re watching Star Wars: The Force Awakens, you’re status will display a little BB-8 of your own. What part of Star Wars: The Force Awakens was your favorite? Let me know in the comments!